La nona edizione del Workshop Mosaico: Archeometria, Tecnologia e Conservazione organizzato dal gruppo Beni Culturali del CNR-ISTEC di Faenza in collaborazione cone ISIA - Istituto Superiore per le Industrie Artistiche di Faenza si svolgerà a Faenza dal 24 al 25 Novembre 2016. Questa edizione è caratterizzata da alcune novità, rispetto alla precedente, iniziando dal grande numero di temi e l'attenzione all'importanza della scienza e della tecnologia nell'arte del mosaico come ben espresso nel titolo "Mosaico: Archeometria, Tecnologia e Conservazione - Scienza: una grande occasione per l'arte del mosaico". Come nelle passate edizioni, anche ques'tanno il Workshop vuole legare ancora di più il suo ruolo di punto internazionale di riferimento per tutti quelli che lavorano su mosaici antichi o contemporanei (conservation scientist, restauratori, architetti, artisti, archeologi, etc. ), mantenendo la qualità, la caratteristica multidisciplinarietà e l'interesse tematico dei soggetti che saranno presentati e discussi. Con questo scopo è stato istituito un comitato scientifico per la selezione delle proposte. - Archeometria e Tecnologia per i mosaici antichi. - Materiali e tecnologie innovative per la conservazione del mosaico. - Conservazione dei mosaici antichi e contemporanei. Case study. - Mosaico contemporaneo: design, materiali, tecnioche di realizzazione. Case study. - Mosaico: esposizione, musealizzazione, design urbano, interior design, gioielleria, accessori moda. - Mosaico: educazione, formazione, training vocazionale . L'italiano e l'inglese saranno le lingue officiali. Sono previsti atti del workshop in lingua Inglese e in formato digitale. Depliant con ulteriori informazioni e form di iscrizione in allegato in fondo alla notizia. Mosaic: Archaeometry, Technology and Conservation. The 9th edition of the international Workshop “Mosaic: Archaeometry, Technology and Conservation”, is organized by the Cultural Heritage Group of CNR-ISTEC (Faenza, Italy) in collaboration with ISIA Faenza (Higher Institute for Artistic Industries – Design & Communication), and it will be held in the great hall of ISIA (Palazzo Mazzolani, Corso Mazzini 93, Faenza, Italy) on the 24th and 25th November 2016. 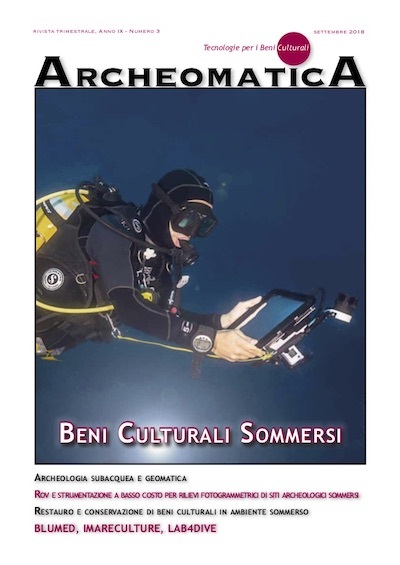 The present edition is characterized by several changes from the previous ones starting from higher number of topics and the attention on the importance of the science and technology in the mosaic art, as well expressed in the title “Mosaic: Archaeometry, Technology and Conservation – Science: a big chance for the mosaic art”. As in the past editions, also this year, the Workshop aims to strengthen more and more its role of international point of reference for people that work on ancient or contemporary mosaics (conservation scientists, restorers, architects, artists, archaeologists, etc. ), maintaining the quality, the multidisciplinary characteristics and the topical interest of the subjects that will be presented and discussed; for this purpose an international scientific committee for the selection of the proposals has been instituted. - Archaeometry and technology of ancient mosaics. - Materials and innovative technologies for the mosaic conservation. - Conservation of ancient and contemporary mosaics. Case studies. - Contemporary mosaic: design, materials, setting techniques. Case studies. - Mosaic: exhibition, musealization, urban design, interior design, jewelry, fashion accessories. - Mosaic: education – training – vocational training. Italian and English will be the official languages. - Movable supports for the conservation of mosaic fragments: materials and innovative techniques. - Materials and innovative solutions for the contemporary mosaic. Proceedings of the workshop, in English language and in electron format, are foreseen. Abstracts for poster session (less than 2000 characters, without spaces), in English language, shall include full name, affiliation and contact details (email, address, phone number). If there is more than one author, please, indicate who the corresponding author is. The abstracts should clearly state to which topic of the conference can be included. The deadline for submission of abstracts is August 31, 2016. Authors will be contacted no later than 20th September, about acceptance of their works at the conference. Participation to the Workshop is free; however, registration is necessary. The deadline for the registration to the workshop is 10th November 2016. Registration Form is available,see attached filed below.